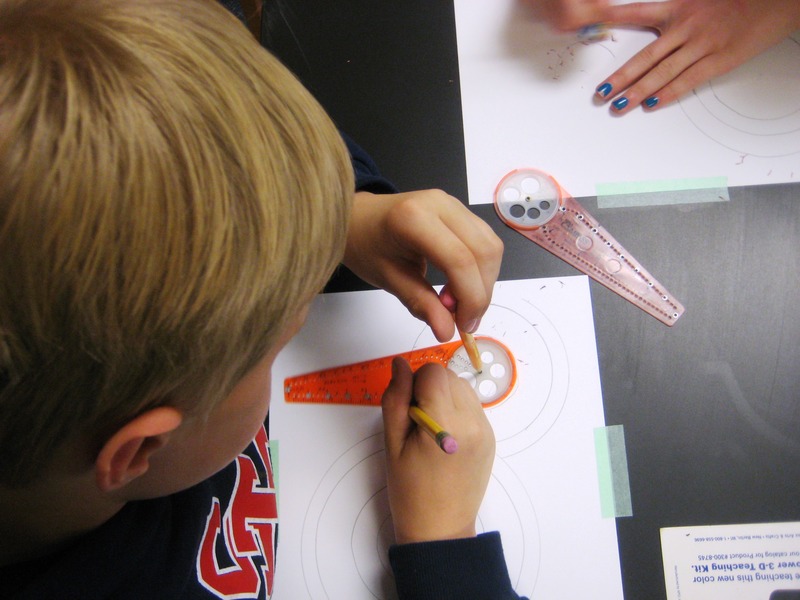 I went to ArtNC to look for project ideas and was inspired by the lesson plan Constructing Circles. I modified the 7th grade lesson to fit my 4th grade Art class and added the study of color theory. 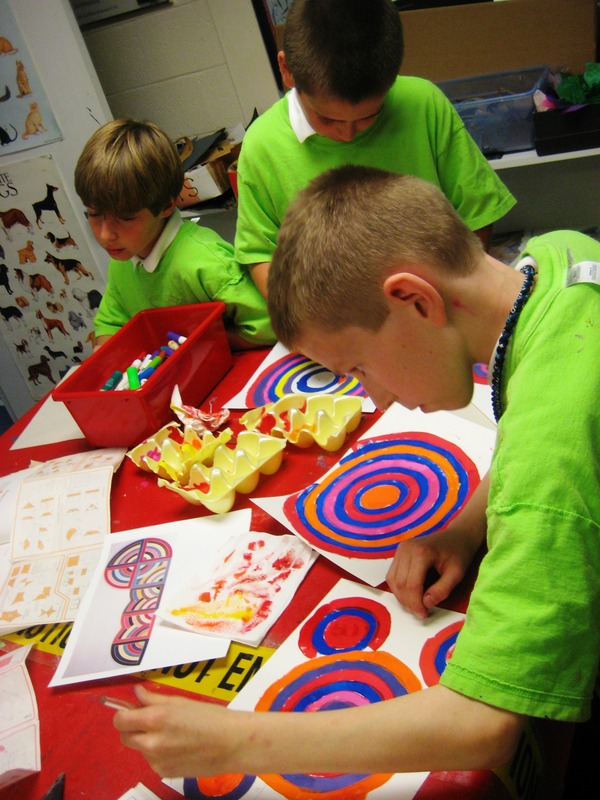 The students painted their circles, mixing their own secondary and tertiary colors. I focused specifically on the relationship of cool and hot colors to each other. I further emphasized the contrast by having the students look at their artwork with their own 3D glasses! Watch this video to see how other students responded to the lesson and what they learned about art and math.